Pak Media Adapter (eSATA) is a Pak Media sized adaptor with an eSATA connector that allows you to attach a qualified RAID or single volume storage via an eSATA cable, so that it may be used as a recordable drive. The Adapter can be utilized with the Ki Pro Ultra. 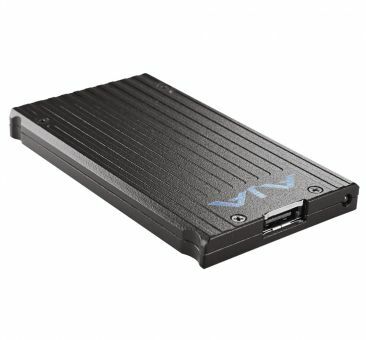 You can even connect two Pak Media Adapter (eSATA) to the Ki Pro Ultra for even more flexibility in the field.